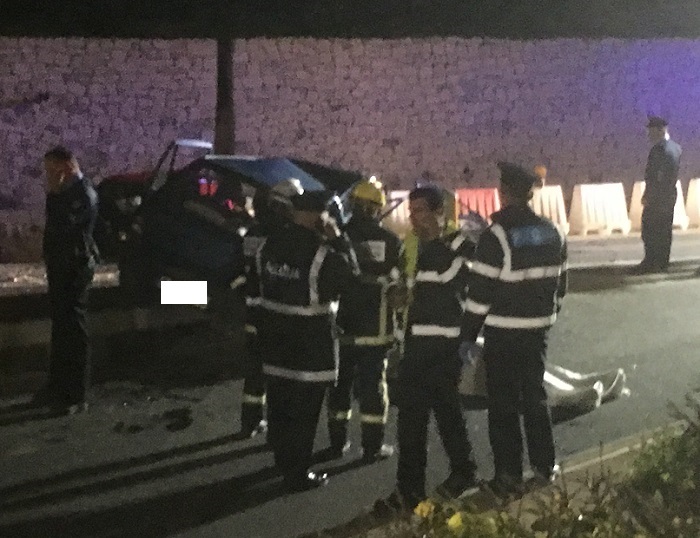 10 people were involved in a major traffic accident which happened at around 8.30pm last night between Triq Buqana and Triq Sir Temi Zammit near the roundabout which from Mosta takes you to Mgarr. The accident has left two women dead, as well as another seven injured, including one person who is in critical condition. There was another person involved in the accident but they did not require medical treatment. The accident was a result of a head-on collision between a Maruti and an Audi. From initial information collected from the scene, it appears that the Audi ended up on the side of the road which is being built as part of the project to widen the roads. 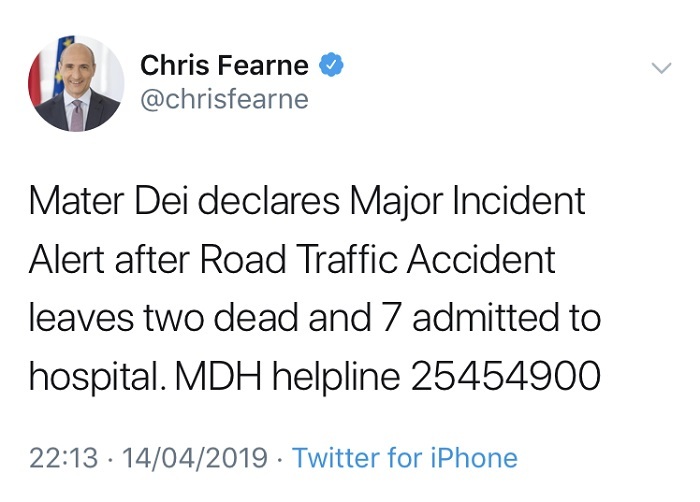 It appears that the accident happened when one of the cars was going towards Mgarr and the other vehicle was on the wrong side of the road, leading them to crash head-on. The two people in the Maruti, the driver and the passenger, were certified to have died on the spot, while six other people and a little girl, were taken to hospital by ambulance One of the injured was certified to be in critical condition. 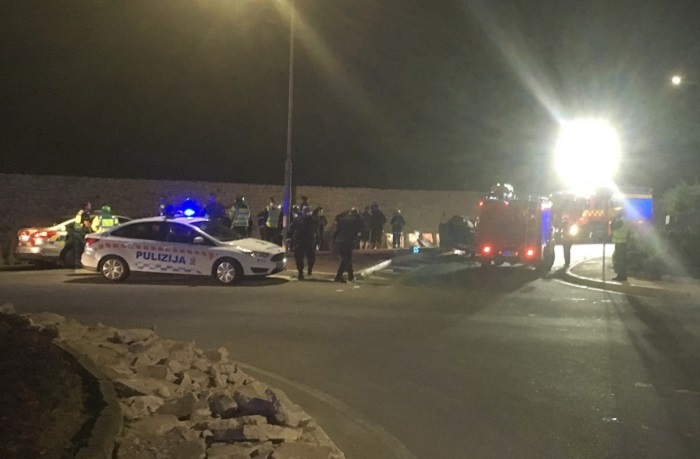 Police officers, a medical team and members of the Civil Protection Department were on the scene while a magisterial inquiry and investigation have been opened on this case.